According to Moore and Kearsley (1996), “most distance education students are adults between the ages of 25 and 50. Consequently the more one understands the nature of adult learning, the better one can understand the nature of distance learning” (p. 153). I agree on the “understanding part”, but I think this information is dated. 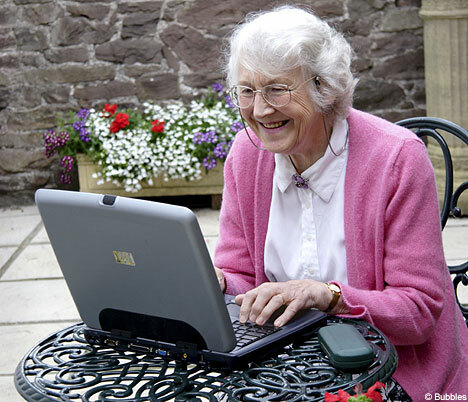 In the last 18 years, there has been a growing shift in that age range, and more older adults are able to continue formal and informal education, in a self directed and internet related environment. Also, many mature adults need to retrain in today’s technology and I think more research needs to be done on how to help them learn in a way that relies less on memory and reading, and more to a system that provides organized information so that it can be processed at any speed, and available for reference, along with modeling and testing. Of course, different theories lend themselves better to different subject matter instructional material. Learning to use a computer, with a computer certainly seems the best approach. It has been documented that memory may decline with age. I would like to point out that while it may be so for some, it is not so for all. Many scholars, designers, craftspeople, etc. brilliantly sail into their 80’s purposefully learning and growing and they demonstrate that memory can successfully function much later in life with good health, continued use and stretching of the intellect. Personally, I think the factor of imagination has a lot to do with it, but I haven’t seen that quantified yet. Instructional designers will need to look at the fact that we are adults for a much longer percentage of our life time, and change, potentially grown for 50-70 or more years as adults. Assumptions on how Adult Learners differ from traditional college students? Many adult learners have responsibilities (e.g., families and jobs) and situations (e.g., transportation, childcare, personal relationship issues and the need to earn an income)that can interfere with the learning process. Most adults enter educational programs voluntarily and manage their classes around work and familyresponsibilities. Most adult learners are highly motivated and task-oriented (Merriam & Caffarella, 1999). Adults have many challenges today, such as multiple careers, fewer stable social structures to rely on, living longer, and dealing with aging parents. In other words “Adult” refers to a person whose life may be complicated by career, family, and other personal choices. However, there are many teen agers who have acquired deficits to learning that they will continue to carry. The good side of it is, that it may mature and inspire the individual.